Employers say scrutiny of wages and conditions for seasonal workers in the Hunter Valley last summer kept some rogue labour-hire contractors out of the NSW wine-producing region. The Fair Work Ombudsman flagged late last year that it would be active in the Hunter Valley as part of its three-year national Harvest Trail project. In mid-November, with the assistance of the Hunter Valley Wine Industry Association, Fair Work inspectors addressed employers and labour-hire contractors at an information session in Pokolbin in the heart of the region. 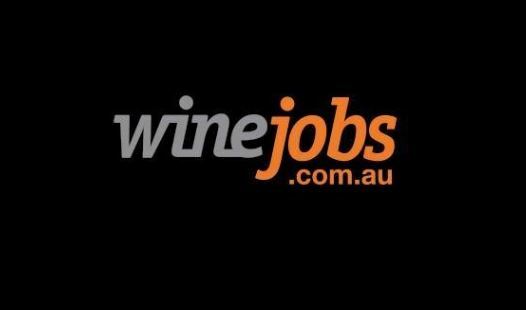 This was followed-up in December by visits to eight youth hostels and random site visits in January and February to 16 vineyards and six grape picking labour-hire contractors around Cessnock, Muswellbrook and Singleton. Some local employers subsequently told the Fair Work Ombudsman its presence “stopped some dodgy contractors from coming to the area”. “They say the combination of our media and education activity, along with the field visits, kept non-compliant operators away and created a far more level playing field for local operators,” Fair Work Ombudsman Natalie James revealed today. The Harvest Trail program is in response to persistent complaints and concerns about the horticulture sector’s compliance with federal workplace laws. Fruit and vegetable growers and labour-hire contractors around Australia are being asked to open their books to show seasonal workers are being paid their correct wages. “The horticulture sector relies heavily on labour from unskilled workers, temporary workers and employees from a non-English speaking background who may not be fully aware of their workplace rights,” Ms James says. A number of vineyards in the Hunter Valley use the services of contractors to provide pickers and other seasonal workers, rather than employing them directly. A key focus of this activity was checking that employers were meeting requirements of the Wine Industry Award 2010 and the Fair Work Act 2009. Of the 500-strong workforce engaged by the 22 businesses audited during the harvest period, more than 400 were overseas workers, some under the age of 25. Many were on 417 working holiday visas from Hong Kong, Taiwan, Thailand, France and Germany and working to support an application for a second-year visa. As part of their inquiries, Fair Work inspectors discovered four employers had collectively underpaid 68 employees a total of $14,120. Half of the underpaid employees were overseas visa-holders, including about a dozen under the age of 21. The bulk of the underpayments related to one business, which was found to have short-changed 51 of its workers just over $11,000. Contravention Letters were issued to three businesses. The most common issue was underpayment of penalty rates for weekend and public holiday work. Some workers also had money unlawfully deducted from their wages. The Fair Work Ombudsman discovered money being deducted for the cost of pruning shears. Under the Fair Work Act, an employer can only deduct money from an employee’s pay if the employee agrees in writing and the deduction is principally for the employee’s benefit – or if it is authorised by a Court, the Fair Work Commission or an award or agreement. Other issues identified included employers not keeping accurate records, not maintaining individual flexibility agreements, part-time agreements not being in place for part-time workers, and the Fair Work Information Statement not being provided to new employees. As a result of its findings, the Fair Work Ombudsman will again return to the region in January, 2015. Ms James says the findings highlight the importance of employers seeking correct advice about their obligations under workplace laws. Ms James says that while it was disappointing to find a number of underpayments, it was pleasing the employers agreed to rectify the mistakes and accepted assistance from Fair Work inspectors to put processes in place to ensure ongoing compliance. Any employer or employee seeking further information about workplace laws is encouraged to get in touch with the Fair Work Ombudsman via the website www.fairwork.gov.au or by calling the Fair Work Infoline on 13 13 94. A free interpreter service is available on 13 14 50 and information on the website is translated into 27 languages atwww.fairwork.gov.au/languages. Follow Fair Work Ombudsman Natalie James on Twitter @NatJamesFWO, the Fair Work Ombudsman @fairwork_gov_au or find us on Facebook www.facebook.com/fairwork.gov.au .